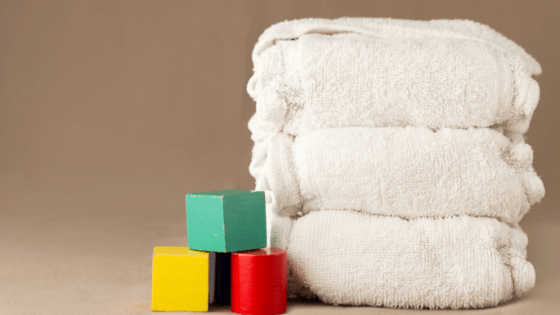 How Many Cloth Diapers Do I Need – From Birth to Potty Training? If you are planning to cloth diaper your little squish, then you might already be getting ready to build your cloth diaper stash. You might be doing the math on how many cloth diapers you need. You can leave that to me, and I will answer that question for you. 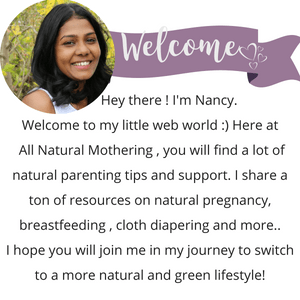 I started to research about cloth diapers when I was first time pregnant with my son. I did not want my son wearing disposables full of bad chemicals, that and of course to save money. Ever since I have tried too many brands and cloth diaper styles. I had a good variety of cloth diapers – prefolds, covers, pockets and all in ones for my second baby. Besides, I also tried a newborn rental service because I want to make sure I had enough newborn diapers to wash every three days. Coming back to answer your question on how many cloth diapers you would need before you start cloth diapering., I guess there is no right or wrong answer. Whether you have a heavy wetter or not. Lets discuss each one of these factors in detail. Newborn babies go through more diapers than an older baby. From birth to around 3 months, babies need a diaper change every 2 hours. 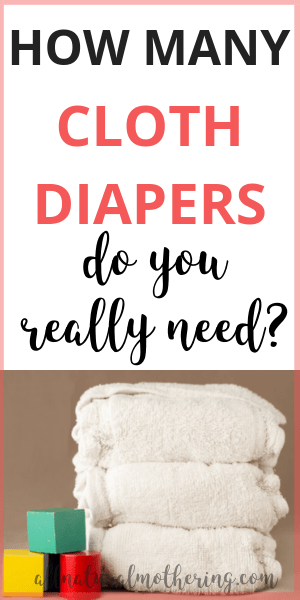 It’s a no-brainer that you need more cloth diapers to start with if you are planning on cloth diapering right out of the hospital. Some newborn babies are also sensitive to wetness, so they will let you know as soon as they pee. Many newborn cloth diapers now come with a stay dry liner that touches your baby’s skin. What this does is that it wicks moisture away from the baby and keeps them from feeling the wetness. 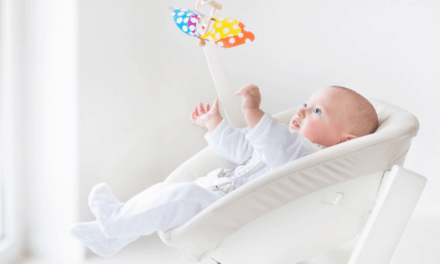 From the age of 3 to 6 months, your infant will have poop less compared to the newborn stage. They might also start taking 3 – 4-hour naps at a stretch. At this age, you will still be changing 6 to 8 diapers in 24 hours. 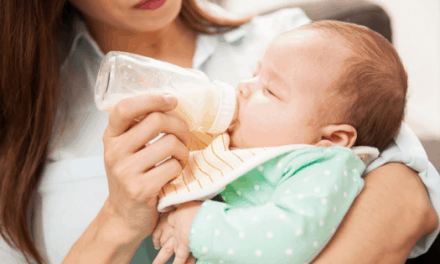 As your baby starts eating solid food and their liquid intake decreases, they will begin to need fewer diaper changes. My babies started taking longer stretches at night, and I used an overnight diaper on them and skipped the middle of the night diaper change. 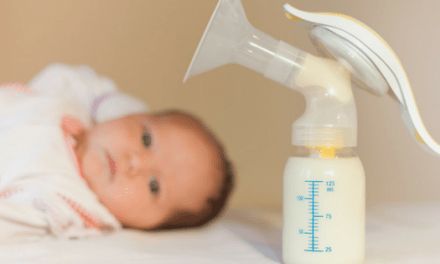 If your baby starts sleeping through the night or if you don’t want to change diapers in the night, you can always find a reliable overnight solution after six months of age. During the day, I always recommend to change the cloth diapers every 3 hours or immediately if it was pooped. Including a nighttime diaper, you would need 4 – 6 diapers from 6 months to 1 year. After one year, I would still recommend changing diapers every 4 hours. Assuming that you would have an overnight diaper that would last you 10 – 12 hours, you will need around 3 – 4 diapers in 24 hours. Cloth diaper covers that are lined with PUL can be wiped down after and be reused without being washed. PUL covers are used with prefolds, flat inserts or fitted diapers. If you are using this type of cloth diaper system, you will need fewer covers as you will be reusing them instead of throwing them in the wash. Remember you can only do this with PUL lined covers. Some cloth diaper covers come with fabric lining like Grovia hybrid covers, those can’t be reused. Some still reuse these covers but its a personal preference. I have always found that the lining gets wet when the inserts are peed in. Typically, you can reuse the PUL covers thrice before washing them. Some even give them a good rinse under the tap and hang them to dry. Wool covers are also another cover option that can be reused up to 10 times before washing. Wool and PUL covers are great budget-friendly options as you can do away with fewer diaper covers. Another type of cloth diapering system where you can use the cover multiple times is the All In Two ( hybrid) cloth diaper system. Buttons and Best bottoms are good examples of AI2 system. AI2 are very similar to using covers and prefolds, except they come with inserts that get snapped to the cover. When they are dirty, you can unsnap the wet inserts, wipe the cover, snap a new pair of inserts and put it on your baby. On the other hand, if you choose you to use All in One’s or pocket diaper system, you need to wash your diapers after a single use. Ideally you should be washing soiled diapers every 2 – 3 days. For a budget reason, many wash every day to keep costs low. Your cloth diaper stash will vary depending on whether you wash every day or every 3 days. Some even wash once a week, I don’t feel very comfortable storing dirty diapers that long. If you do have to wash every week, make sure your diapers are getting enough air flow to prevent stink and mold issues. You can use the numbers in the above table and calculate how many diapers you would need to buy depending on when you wash. If you are willing to wash everyday, multiply the above numbers by 1.5. If you will wash every 2 days, multiply the numbers by 2.5. For washing every 3 day, multiply by 3.5. This is to make sure that you have enough diapers before the washed diapers dry and to take care of other emergencies. It is tough to give you an exact number of cloth diapers you need if you will be using cloth diapers part-time. Part-time cloth diapering can be any of the following situations. Or using cloth full time at home and disposables at the daycare or when with other caregivers. I would say that you start with *just* enough diapers that can be washed every three days and buy more if you happen to need more. Some babies are extreme heavy wetters that they soak through a diaper in less than an hour. If that sounds like your little one, you must be prepared to have more diapers at hand. You can either choose to change your baby often or add boosters/ doublers to add more absorbency. If you are cloth diapering, you might as well use cloth wipes instead of disposable wipes. Unlike disposables you will go through fewer cloth wipes as cloth wipes do a better job at cleaning pee and poop. I only use one wipe for pee and (may be) two wipes for poop. Wetbags are water and odor resistant bags made of PUL. They are used to store dirty diapers when travelling. Wetbags make cloth diapering on the go easy. You can simply toss the soiled diaper in the wetbag and bring it home to be washed. Boosters offer additional absorbency on top of your regular inserts. They can be made of cotton, bamboo or hemp. You might need boosters if your baby is a heavy wetter or when you need to add more absorbency to your night time diaper. Liners are stay dry material that goes on top of the diaper. Their solo duty is to wick moisture away from the skin and offer a ‘stay dry’ feeling. If you are using a diaper which has natural fabric like cotton,bamboo or hemp, then you might need a liner if your baby is sensitive to wetness. We have established that the number of cloth diapers you need depend on the age of the baby, the cloth diaper type you choose and whether you are going to cloth diaper full time or part -time. How Many Cloth Diaper You Really Need? In general, I would recommend having enough diapers for two and half days and wash every other day. If you are using covers and inserts, start with 15 – 20 inserts and 3 – 4 covers. If you like pockets or All in One diapers, then start with 15 – 20 pocket diapers or AIO’s. Remember might go through fewer or more diapers depending on your baby’s age. I usually don’t comment on people’s blogs but THIS. HELPED. ME. SO. MUCH!!!!!! Thank you!